Casey Anthony has been acquitted of the most serious charges she faced in the death of her toddler, Caylee. For many, the outcome of the digital age’s equivalent of the OJ Simpson trial in 1995 was just as cringe-inducingly unexpected. Word of the verdict spread like wildfire, of course, making a return to a normal life for newly-famous Anthony as unlikely as it was for already-famous Simpson 16 years ago. 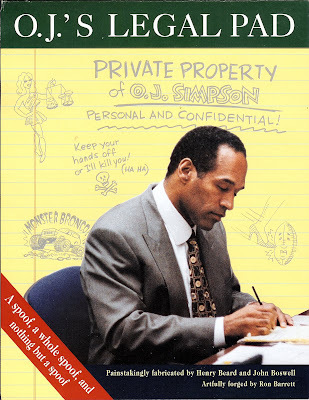 Simpson was subsequently convicted on unrelated kidnapping and theft charges after essentially dropping out of society as best he could. Just as some greeted the Simpson verdict with tears and disbelief, there was much the same reaction about the Anthony verdict, including other mothers and daughters who railed against the verdict on the courthouse steps. Unlike OJ, who was accused of stabbing his wife and one of her friends to death in a fit of jealous rage, there didn’t seem to be even the smallest cheering section for Anthony. Then again she was accused of murdering her two-year-old daughter, whose skeletal remains were found near the family home with duct tape dangling from her skull. Anthony’s defense was considerably less adamant than Simpson’s “100% not guilty” plea, but, like Simpson, she did not take the stand in her own defense. Attorneys immediately took to the airwaves to stress that the two cases were not similar. As someone who religiously watched, but did not cover, the Simpson trial while stationed in Los Angeles for Reuters, I can see that point of view. The prosecution’s case against Simpson seemed, to this non-juror, simply staggering. Prosecutors in the Anthony case struggled with the motive — Casey didn’t have a jealous boyfriend who didn’t want a kid around, and nobody who knew her seemed to think she was a bad mother. Cable TV was the accelerant back then. We did, and still do, have our own eyes and ears and we saw and heard and discussed things the jurors did not. The disconnect from the solemn trust that infuses the inexplicable genius of the peer jury system is at an even greater challenge now as the mobile internet and smartphones proliferate and opining on Twitter is never more than just a few keystrokes away. In both trials jurors rendered their verdict after only a few hours of deliberation — 11 in Anthony’s case — which is usually good news for a defendant. And it was for these two occasions: Simpson was acquitted of all charges and set free; Anthony was found guilty only of a relatively minor charge of lying to investigators and could be freed on time served. The Simpson prosecution team elected to take the death penalty off the table as a tactic to make a conviction a tad more palatable. Anthony’s prosecutors made no such preemptive concession. As for the respective judges presiding over the trials, Anthony trial Judge Belvin Perry was no Simpson trial Judge Lance Ito. Perry seemed firmly in charge, unwaveringly in control of the attorneys and seemingly unaffected by the intense media and occasional live TV coverage of the trial. And when it came time to charge the jury for what could have been a long deliberation he specifically told them not to blog, micro-blog — or Tweet. With or without jail time, Anthony faces Simpson’s same fate of purgatory on earth. Simpson was a world-famous sports figure who would have been recognized anywhere. General disbelief that he had cheated justice for a brutal stabbing made him a pariah. The Anthony killing was also brutal, as is always the case when the victim is a defenseless child. And the defense theory put Anthony at the scene of Caylee’s death, which she failed to report for 31 days during which time she was photographed clubbing and lied repeatedly about the fate of her two-year-old. In terms of tainting public opinion it wasn’t exactly Simpson’s slow-speed non-getaway in that white Bronco. But it was close. And what became a trending topic on Twitter shortly after the verdicts were handed up? None other than Simpson lead trial attorney Johnnie “If it doesn’t fit — you must acquit” Cochran. This is maybe a compliment (left-handed or otherwise) of Anthony lead counsel Jose Baez, who was routinely vilified by cable TV talking heads as a buffoon and worse, but his phone is sure to be ringing off the hook now. Cochran’s critics considered him a race-baiting scoundrel but after winning his most famous case to date yet, he has earned grudging admiration from nearly everyone. The simple truth is that when a defense attorney wins a complete acquittal against the odds even for a reviled client, Perry Mason comparisons are in order. “Johnnie Cochran is rolling in his grave right now …,” replied @StacyAlbano. Because of the Internet it is unlikely Anthony will be able to disappear into the woodwork and start over. Continuing on at her parent’s home — even if she were welcome there after accusing her father of sexually abusing her and engineering the coverup of Caylee’s death — would seem impossible. Jumping back from this is going to be a huge challenge for the best image makeover and social reputation artists. That is, if there are any who’d take the job. The defense has only to introduce reasonable doubt to gain an acquittal. Baez threw every conceivable theory as to Caylee’s death and possible excuses for it not being reported, etc., etc. I didn’t follow the case religiously, but it was my belief that the prosecution had not made a case against Casey Anthony and that’s how it panned out. As for the family, I can’t see how they could ever recover from this media circus that has dragged their names and images through the cesspool that is the international media.